Anne Strawberry: Happy Birthday Julia! 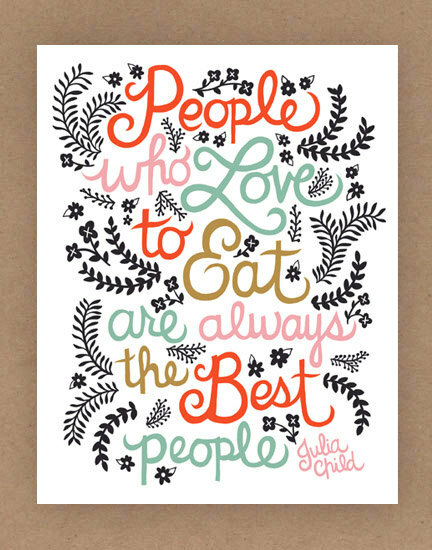 Adorable Julia Child Quote via Unraveled Design on Etsy- so true, too! Let me know if you read the book and what you think. I'll warn you now it will make you want to eat... and go to France now! 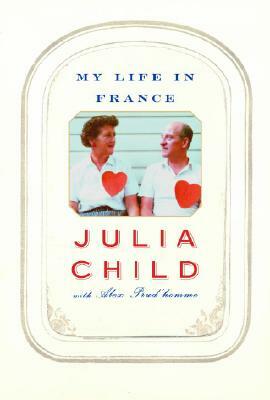 And I hope you will go try a new recipe in Julia's honor today. She was told over and over that was too tall, too old, too American, too much to follow her dream but she did- and what an impact she made! Yesterday Google's doodle linked to a VanityFair article from 2009 titled "Our Lady of the Kitchen"... America's First Lady is not always the President's wife... the 20th Century had three... Eleanor Roosevelt, Emily Post, and Julia Child. I used to love watching Julia in the kitchen. She was a natural comedian and an excellent teacher. Glad you like her too. I loved the book and the movie. I still remember being fascinated watching her on TV when I was a little girl. That voice, it stays with you! That is the best birthday postcard ever!